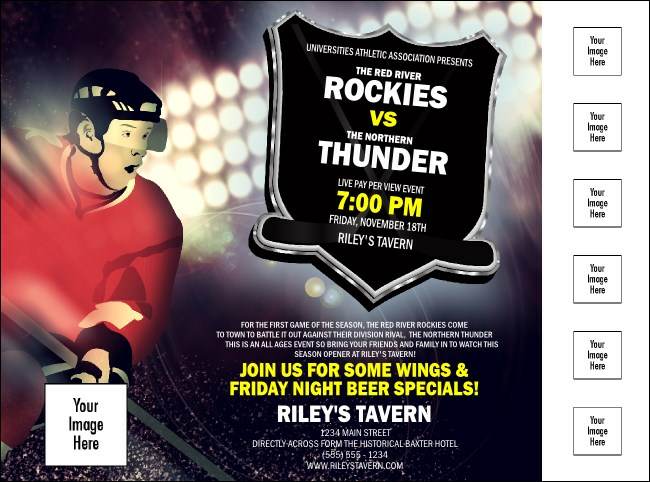 Give your sponsors some credit before the big face-off when you print up these Hockey Badge Red Logo Flyers and post them around town to advertise your upcoming event. Promote the game and bring in more fans, plus upload up to 7 logos, encouraging sponsors join your winning team! Be a team player with hockey-themed Event Kits from TicketPrinting.com!